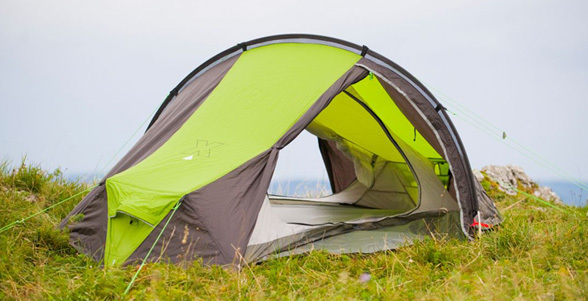 An aerodynamic and weather resistant tent designed for maximum performance with rapid set-up and set-down. Double layer ventilation and siliconised flysheet ensure maximum protection from difficult conditions. With a weight of only 980g and it's ultra compact size, the Rigel™ is perfect for lightweight trekking.